As a US American interested in diversity issues, I was intrigued by the recently released Pew Center report based on the book, The Next America, examining demographic changes taking place in the United States. Pew reports are well-researched, present interesting and useful data, and never fail to give me a different perspective on the world in which we live. The United States is changing demographically faster than many of us realize. I remember a few years ago, when working for an educational institution that offered diversity courses, a city official from California called to say they needed help because the “minority” population was soon to be over 50%! Today, I rarely hear the term “minority,” and this study definitely shows why. Immigration is the main force behind this rainbow, according to the report. Large numbers of immigrants during the late 19th and early 20th century were from Europe; today only 12% are European. Since 1965, the USA has seen more than 40 million immigrants; about half are Hispanic and nearly three-in-ten are Asian. As these marriages produce children, a new set of issues arises. One example: categories of race and ethnicity on government forms are less likely to fit or be meaningful. What do you call yourself when you are confronted with choosing just one part of your interracial or interethnic (Blended Culture) identity? This situation arose recently when my son (White) and his wife (African American/White) had to complete a form to enroll their three-year old son in pre-school. Although one-quarter African American, my grandson looks very White, like his dad. There was lengthy discussion about what race to choose: African American or White. There were no other options, available for them—they could only choose one “race”—and they were uncomfortable with either choice as it didn’t reflect his heritage accurately. Not only is the USA becoming more ethnically and racially diverse, but our population is aging. According to the study’s author, “10,000 Baby Boomers a day will turn 65—every single day between now and the year 2030.” That’s a lot of old people! Contrast their lives with that of the first generation of “digital natives”—people for whom the online world has always existed. Their experience is shaped in part by their technological comfort and ease, while many of the older generation struggle to simply use their cell phones. However, more than a “digital divide” exists among the generations in the USA. Growing up in different times and having radically different experiences means that the generations don’t always see eye-to-eye on lifestyle, issues, or politics. Yet, these days, a record number of US Americans—over 50 million—live in multi-generational family households, according to the report. While this may seem perfectly normal to some of our blog readers, it is a new reality in the US. In the past several years, a stigma became attached to returning home after moving out for school or a job. To many, an adult “boomerang” child returning home to live with their parents was “clearly” a failure or had problems of some sort. No longer! Due to the poor economy, it is now seen as quite practical to live together when one can’t find a job or has limited (or no) means. And, as much as they might like each other, differences in opinion can cause stress in a household. Cultural Detective has tools to facilitate change by helping users to better understand some of the different cultures making up the USA today. First, however, as intercultural professionals worldwide know, before one can understand others, one needs to understand oneself. Cultural Detective Self Discovery helps people discover their values, preferences, and the cultural influences driving their thinking and their actions, and explore their cultural identities. It can be used as a stand-alone exercise or as a powerful component in sessions focused on cultural awareness, diversity and self-development, or as a process to facilitate teambuilding and organizational synergies. Cultural Detective Generational Harmony provides a glimpse into four distinct generations in the USA, each with differing experience, expectations, and lifestyle requirements. By understanding these distinctions, one can be better prepared to recognize and manage issues that may arise due to generational differences in the workplace, while at the same time meeting organizational demands and objectives. Cultural Detective African American explores the complexities of African American culture in the USA today. It investigates the values and communication styles of this community in an effort to bridge cultural gaps and support more inclusive groups, communities, and workplaces. Cultural Detective Latino/Hispanic introduces this heterogeneous, multiracial group residing in the United States, people with cultural, historical, and ethnic roots in countries of Latin America. Comprising the fastest-growing ethnic minority group in the United States, Latino/Hispanics now number over 50 million, and account for one-out-of-four public school students in the US. Cultural Detective USA offers insight into some of the key values that are representative of the dominant societal norm, in large measure Protestant, Anglo-Saxon values. While there is a wealth of ethnic, racial and cultural diversity within the USA, one needs to be aware of the power of the dominant culture in influencing behavior, as well as the specific values of other cultural groups, when learning about the USA. Cultural Detective Blended Culture investigates those who hold multiple frames of cultural reference within themselves. 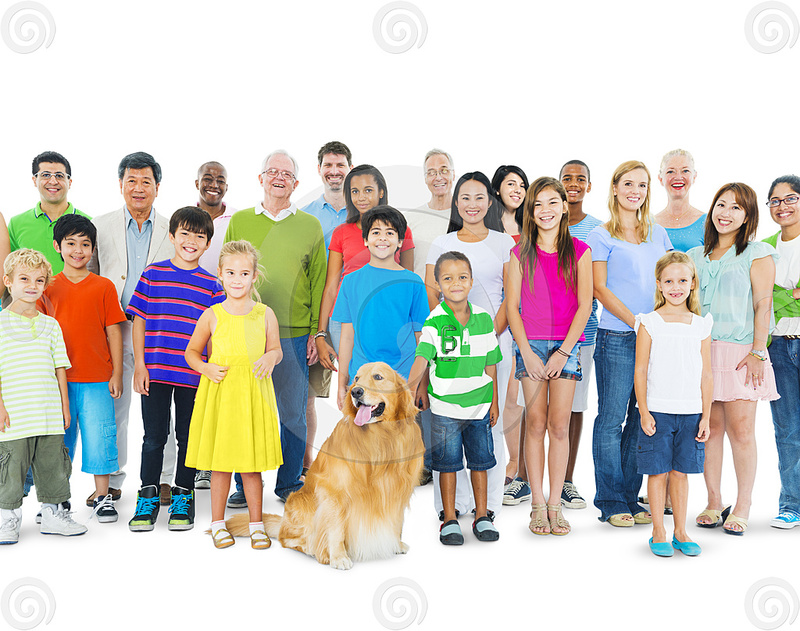 This may include such individuals as internationally assigned employees and their families, immigrants and refugees; those who have grown up as members of ethnic minority communities within a dominant culture; and people raised by parents of different cultural backgrounds. Cultural Detective Bridging Cultures helps take cultural awareness and savvy to the next level by looking at how to develop effective bridging strategies for working across cultures. Recognizing that cultural understanding is essential but not enough, this packages focuses exclusively on connecting cultural similarities and bridging cultural differences effectively to reap the benefits of diversity. Any of these packages sound interesting? Cultural Detective Self-Discovery and Cultural Detective Bridging Cultures are available for purchase through our website. The other packages mentioned are available for handy reference, 24/7, as part of Cultural Detective Online. What are you waiting for? Use Cultural Detective to investigate the cultures shaping the USA and our world, and Get A Clue! This entry was posted in Data for research and reports and tagged changing demographics, Cross-cultural communication, cross-cultural skills, Cultural Detective, current events from an intercultural perspective, diversity and inclusion, global diversity, intercultural competence, interethnic, interracial, mixed race, multicultural society, race relations by Kathryn Stillings. Bookmark the permalink.